You’re back again for part 5? This is a pleasant sight, indeed! We thought you might be curious about the last of the submenus in the Main Menu, so here it is! Let us see how we can get additional help, by looking through our Help Sub-Menu. 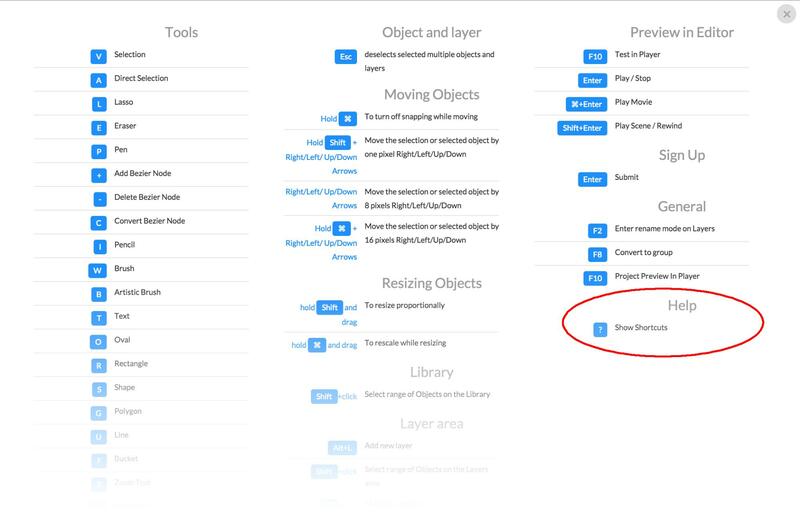 The last Sub-Menu, [Help], gives you access to a list of shortcut keys (or Hotkeys) by clicking the Show Shortcuts option. By revealing a series of useful keyboard functions, this list can aid you in learning to speed up your project workflow. 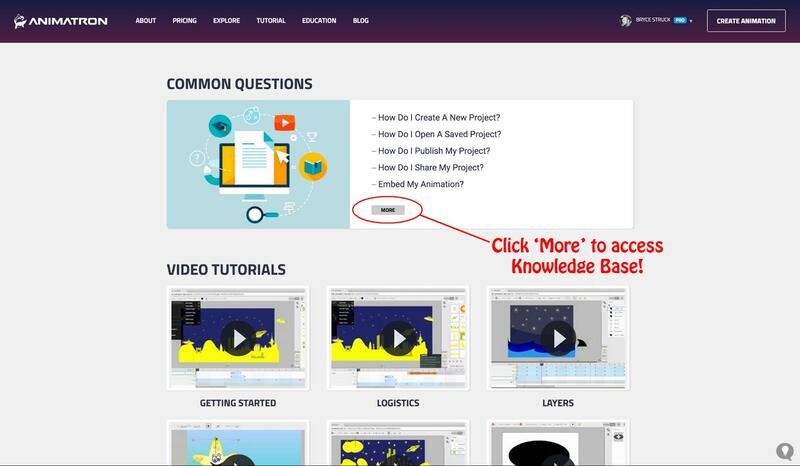 The Tutorials option opens up a new browser tab that will direct you to all of Animatron’s Video Tutorials and Written Guides, helpful for those who like to learn the workflow processes, step-by-step. 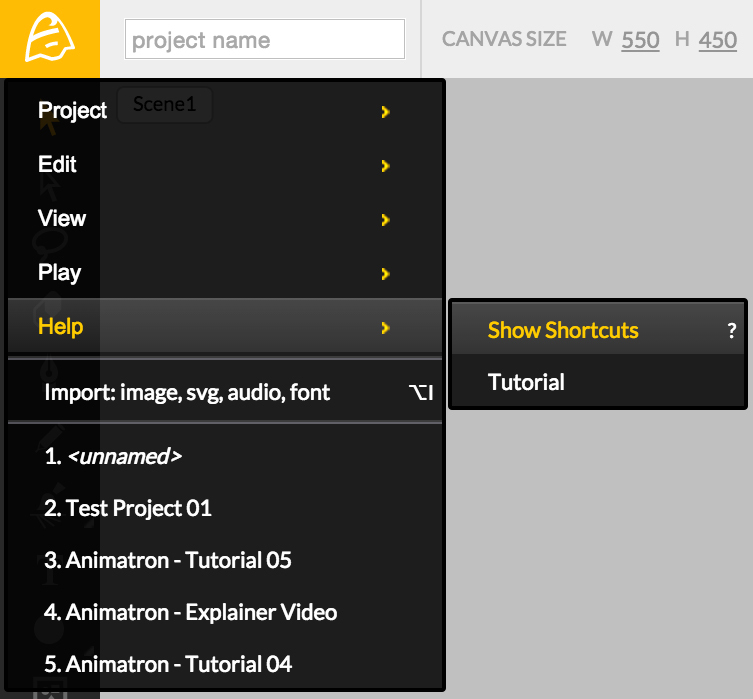 Clicking on the [More] button, shown above, accesses the Animatron Knowledge Base, seen below. 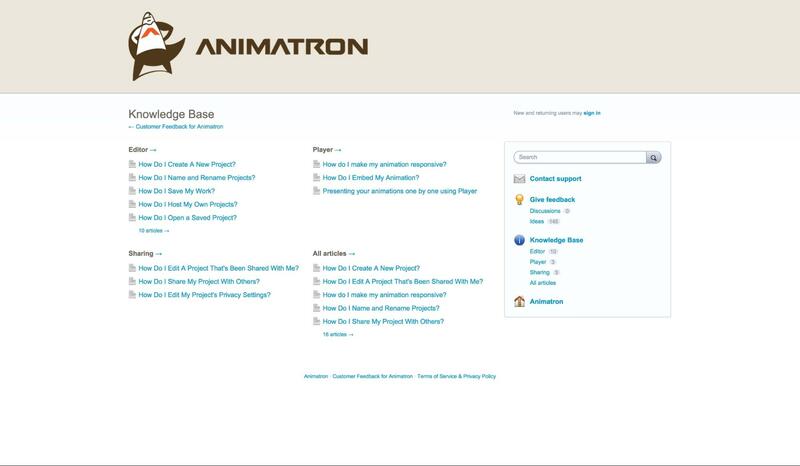 Here, you will find answers to frequently asked questions about the website, editor and any other aspect of Animatron that might have you scratching your head. Also found on this page, is a full list of our written guides and articles, for those who find reading, easier than watching through video tutorials. Phew! That finally sums up the last of our Sub-Menus within the Main Menu. However, we aren’t quite finished yet. Stand by for a look into the all-too-essential Import Feature, next.